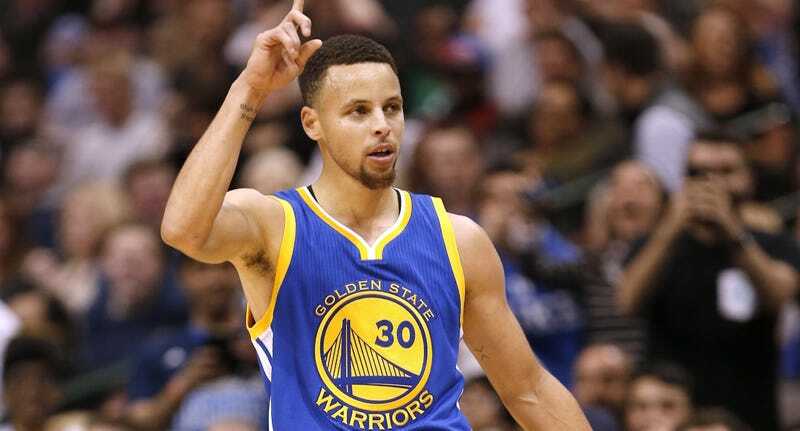 The Warriors went down to Dallas and won a wildly entertaining shootout against the Mavs 130-112. Steph Curry finished a rebound shy of a triple-double and yawned his way to a dominant performance. The Mavs kept it close into the fourth quarter, but he and Klay Thompson (who had 10 threes! 10!) just shot them out of it. Curry only hit six, but this one, over the outstretched hand of Dirk Nowitzki, after a spin move that would leave me incapacitated on the floor, with a truly audacious use of the backboard, was one of the more outrageous shots he’s hit in a season of outrageous shots. My my. The Warriors have the Spurs tonight down in San Antonio.